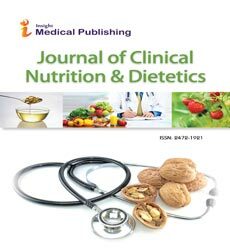 The aim of this review of the literature is to present considerations focused on nutritional issues related to street foods. More specifically, this paper will analyze the characteristics of street foods with emphasis placed upon food security and nutrition, food safety, risk of foodborne diseases, overweightness and obesity, as well as other chronic non-communicable diseases. Street foods are a source of culturally accepted, inexpensive, convenient and often appealing foods for both urban and rural people worldwide. However, street foods are often seen as possessing nutritional components associated with an unhealthy diet and potentially holding a higher risk of contamination by physical, chemical and biological agents, i.e., become a serious concern in terms of food safety. Street foods can cause the emergence of foodborne diseases, due to the ease of contamination by pathogenic and non-pathogenic microorganisms, and the development of chronic non-communicable diseases, since the street foods usually have high quantities of carbohydrates and fats. In summary, the consumption of street foods contributes towards a given population meeting their nutritional needs. However, due to the lack of facilities in street mobile vending of foods, cheaper raw materials, as well as insufficient knowledge of good manufacturing practices linked to street vendors, street foods may cause foodborne diseases and chronic non-communicable diseases. The establishment of specific legislation can contribute to nutrition security of the street foods and public health.